With all the hoopla over the emergence of Rioja wines from Spain, let us be reminded that the “backbone” of their wine is the tempranillo grape, known in some circles as Spain’s cabernet sauvignon. Both grapes provide deep red juice, both emerged primarily within great blends and California later focused on their individuality. The comparisons end there because the tempranillo grape is expanding globally and is becoming a wine of preference for many U.S. consumers. Early 1970’s archaeological unearthing of a mosaic of the wine god, Bacchus, solidified the premise that tempranillo has been in Spain since 800 BC. Today, there are over 500,000 acres under vine in Spain, Portugal, USA, Australia with small amounts in South America and South Africa. The appeal of tempranillo evolves differently for different people. In Spain, it blends brilliantly with graciano, grenacha and mazuelo, in Australia with syrah and Grenache, both native to France’s Rhone Valley and, in the USA it comes every which way including solo. spice tones that result after extended exposure to oak. Tempranillo finds its full potential in Spanish wines from Rioja and Ribero del Duero because of extended aging and exposure to oak. It is also highly influenced by cool climate that spawns more acidic, age worthy wines, while warmer temperatures produce those that are darker and more fruit forward. In California, single-varietal or highly dominant tempranillo blends find their best terroir in warm Calaveras and Amador counties, in the Sierra Foothills where the summers are extremely hot. Tempranillo from these Spanish regions, especially those with some age and exposure to oak, contributes soft tobacco nuances to accompany the dark berry and cherry flavors that often linger throughout a long finish. These and other attributes including reasonable pricing have attracted American consumers, which has prompted more winemakers to experiment with the grape. 60% of their vintages to the US and they can be found with a little research. 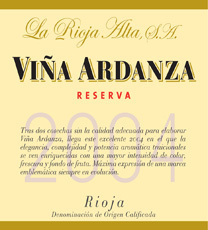 More of that Rioja ripe concentrated fruit can be found in the aged La Rioja Alta Vina Ardanza Reserva 2004 (94 pt/$35) and R. Lopez de Heredia Vina Tondonia Red Reserva 2002, both with tremendous balance and expressive flavors I tasted firsthand last Spring. Australia is a big country comprising all the mainland of the Australian continent. Their wine regions extend like a strap, east to west along the entire southern mainland with hundreds of microclimates. While not diminishing the other great varietals grown in Australia, winemakers found their signature wines through the French Rhone syrah grape, renaming it Shiraz. Taking another lesson from the French, the Aussies are now putting their unique touch on famous Rhone blends of syrah, Grenache and mourvedre by substituting tempranillo for mourvedre with good reason. While both grapes will add structure to the blend and are compatible with grenache, the warmer summer climates in southern Australia can extract more concentrated fruit flavors from tempranillo to enhance the blend. The tempranillo grape is also expanding in Portugal where it is used extensive in fine ports and red blends, assuming the name, “tinta roriz.” The dry, Quinta do Passadouro Douro 2010 (91 pt/$25), a blend of tinta roriz, touriga nacional and touriga franca, has been reviewed as a full flavored wine for a value price. 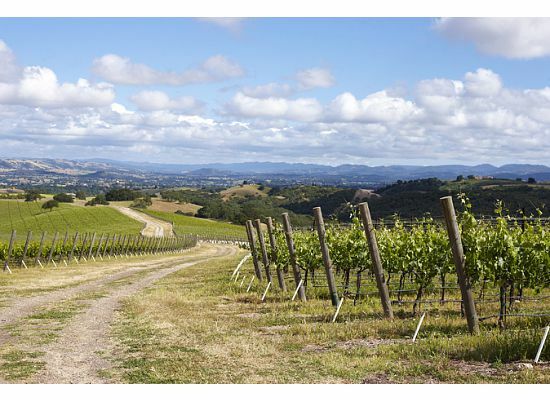 Among California vineyards, tempranillo plantings, once called valdepenas, are expanding, mainly in warmer regions like the Sierra Foothills, Paso Robles and northern Napa Valley. While California can replicate a good Rioja blend, we seem to be consumed with producing single-varietal wines. The full complexity in structure and flavor of California tempranillo is present in the 2009 Driven Cellars Tempranillo Amador County ($25) in the heart of Gold Country. From the Rioja earthy aromas through the long finish with a bit of chocolate, this was clearly my take home from this eclectic winery. 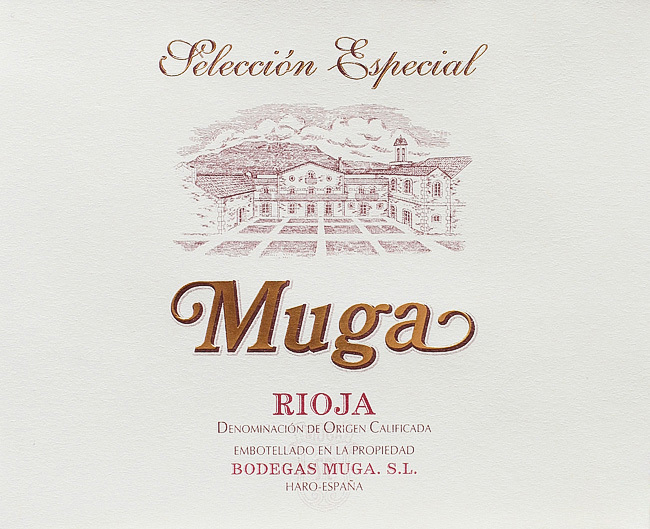 characterize the deep color and balanced flavors of an aged Rioja blend. Aptly named a “gentle giant” for flavors that are both bold and smooth, the current 2009 vintage is a beautifully structured, classic “Spaniard” release that, unfortunately, is sold out. Fortunately, the readily available 2009 Twisted Oak Tempranillo Rolleri Vineyard ($28) is also a very nice wine. A visit to Calistoga in the northern Napa Valley led to the discovery of the 2009 Vincent Arroyo Tempranillo ($28) with strong, but balanced fruit flavors. The 2010 vintage is also sold out due to the boutique Vincent Arroyo Winery’s reputation for producing fine, accessible wines. Plantings of tempranillo vines have expanded to the Umpqua Valley AVA in southern Oregon, the Yakima Valley AVA in Washington and to another US region some are calling our best terroir for tempranillo: the Texas Hill Country. Vineyards, wineries and tourism are developing in the area near Fredericksburg in south Texas and the top red varietal is the heat loving, ripe tempranillo grape. Among several wines from the region, the 2011 Pedernales Cellars Texas Tempranillo Reserve is most noteworthy, having been awarded a Gold Medal in the 2013 San Francisco International Wine Competition. Tempranillo has become increasingly popular in California, becoming a red wine of choice because of its structure and full fruit flavors. With the success of Spain’s Rioja region in recent years, the tempranillo grape’s stock is up in California and worldwide. If vineyards of tempranillo expand in new regions like South Africa, it may become a household name for wine consumers. This entry was posted on Tuesday, January 14th, 2014 at 4:53 am	and posted in Wine. You can follow any responses to this entry through the RSS 2.0 feed.